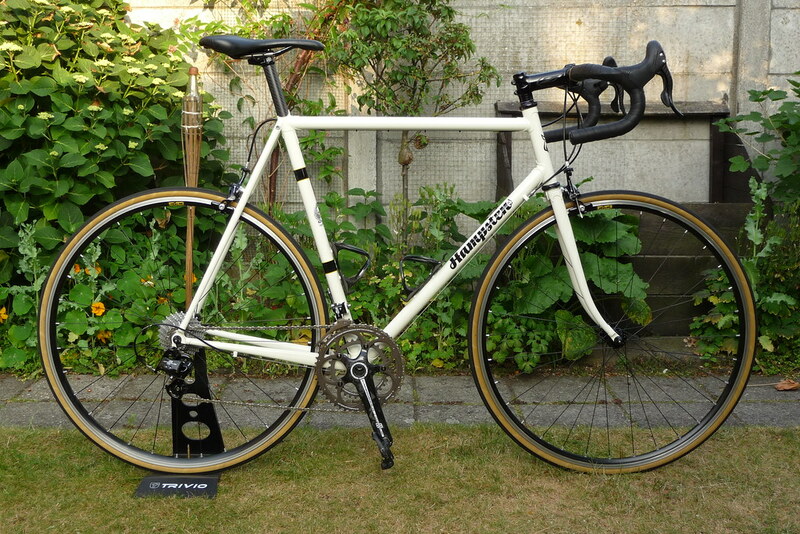 Strada Bianca Ti travel bike? If you still need something else, the disease is incurable by modern medical standards. You might just as well get another one straightaway. Yeah, I know. It truly doesn't get much better than that, and I am truly grateful to be able to enjoy it. And grateful to a lovely woman who told me to go for it! Club ride today with muh big piggy brutha from anotha mutha! Steve, Martin and Russ did a great job. 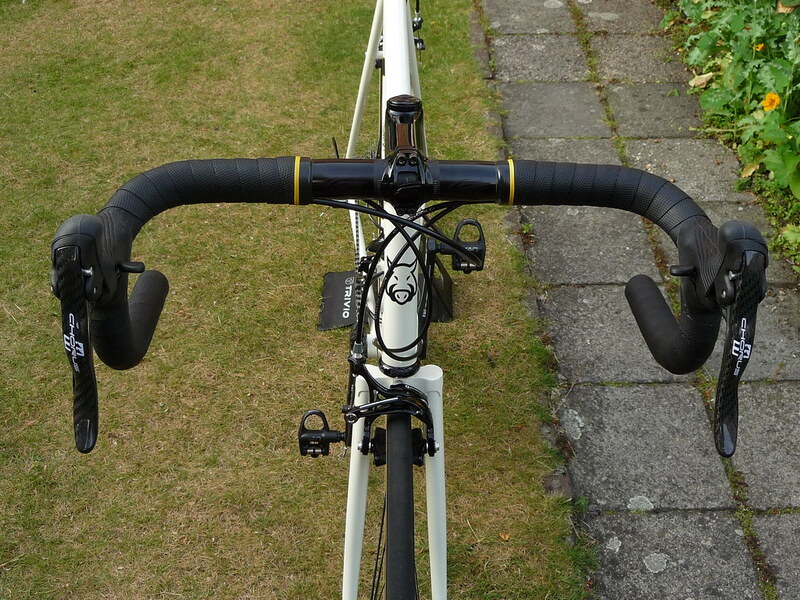 Just finished the build, shakedown ride tomorrow or Tuesday. Did a couple of quick spins around the block to check shifting and see how it feels. A few tiny adjustments and now it's ready for business. Very nicely done. 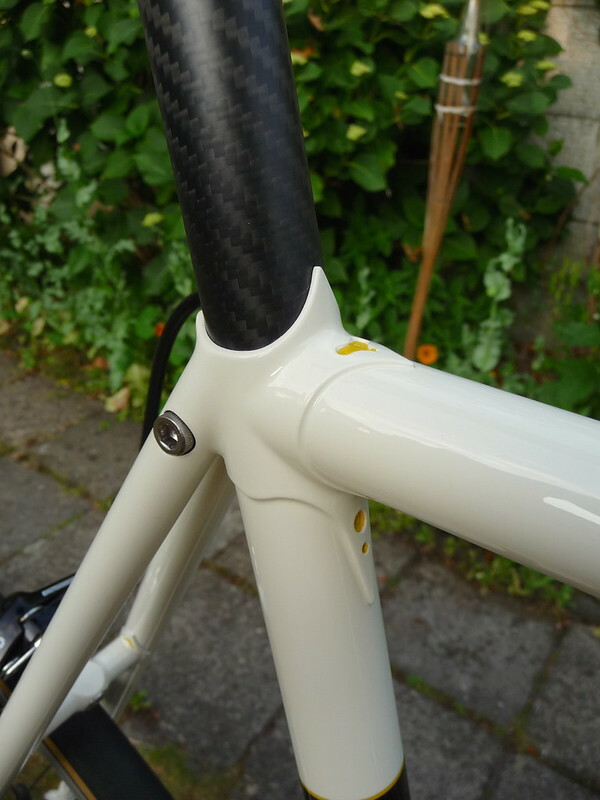 I just love that seat stay/seat lug detail. 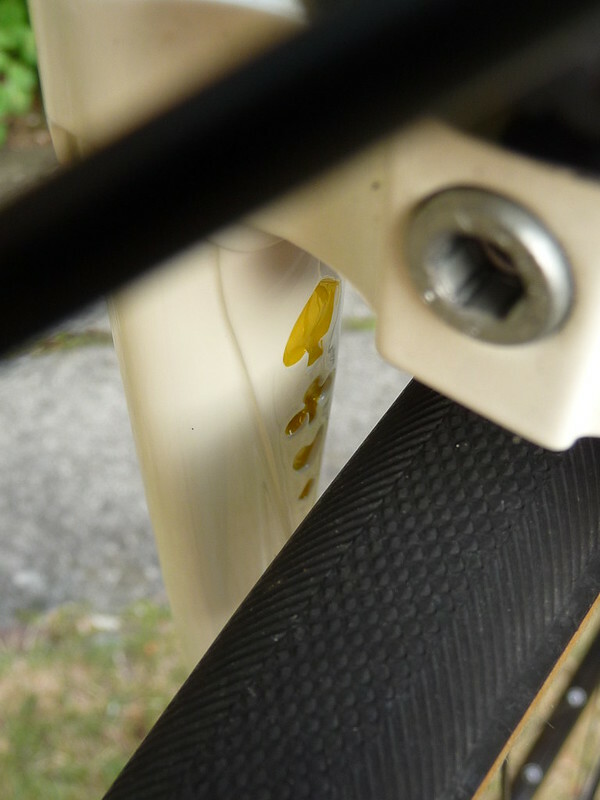 I rode with Martin today - the fella who built that frame - and his bike has the same seat cluster. I couldn't stop staring at it... weird! Can you explain to me how it's done Steve? 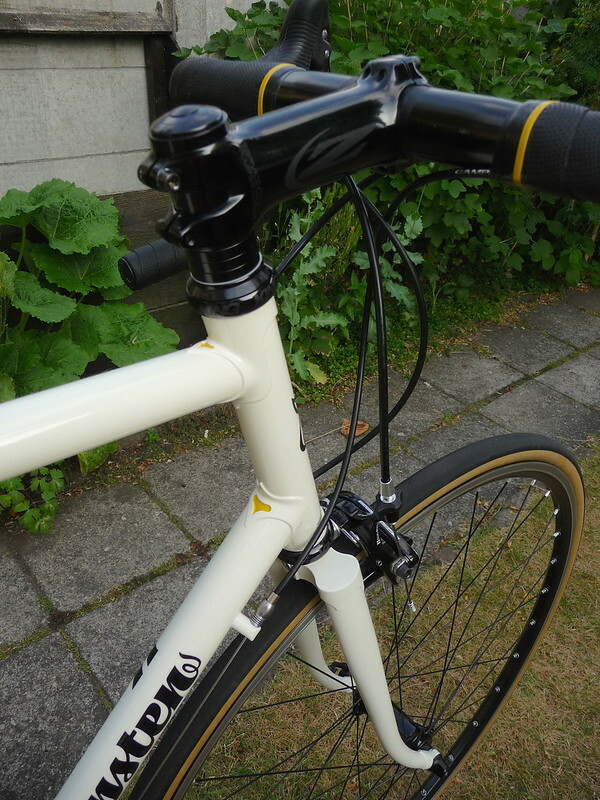 Does Martin turn the two halves on a lathe, then braze them into the seatstays, and smooth the outsides to match the tube radius? Is the hole blind or does the bolt stick out the other side? Taking a cue from e-Richie, Martin Tweedy is single-handedly bringing back the elegance (atmo). 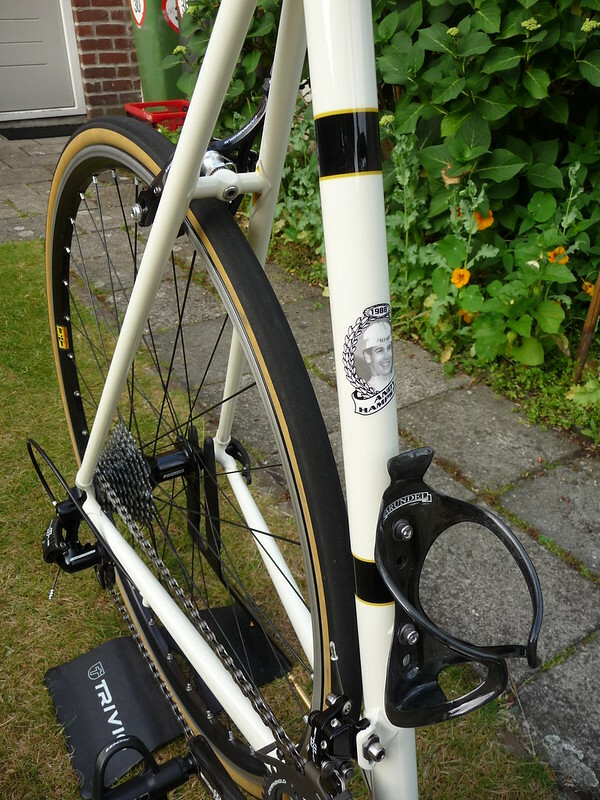 The P(i)MP seatpost is an appropriate touch. That's a really nice bicycle, a really nice one atmo. Daym, dats a bike. Tip of the hat to Mr. Martin for the fab job and Mr. Hampsten for the design. How big of boots can ya get on that whip? Pure class that one. Ehv is Eindhoven, what was the street again? 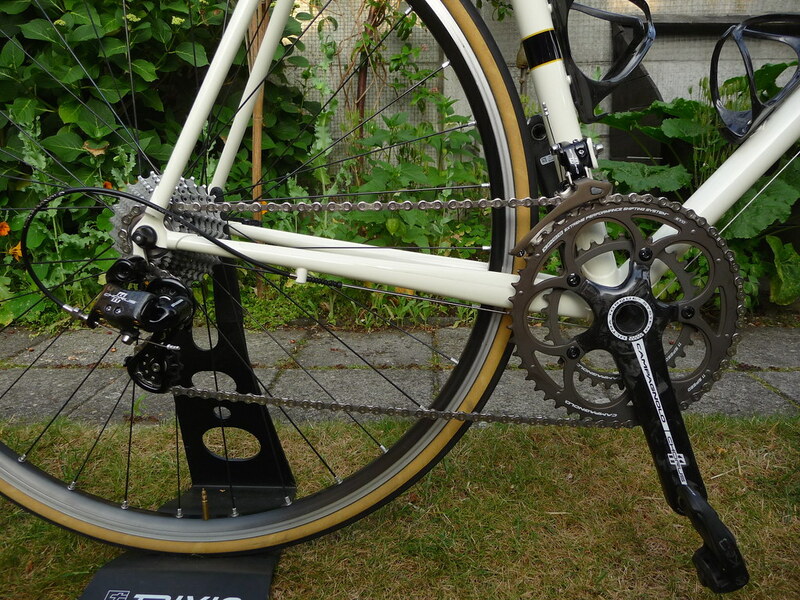 Just want to perform security-checks on your bike storing facilities. You never know this days. 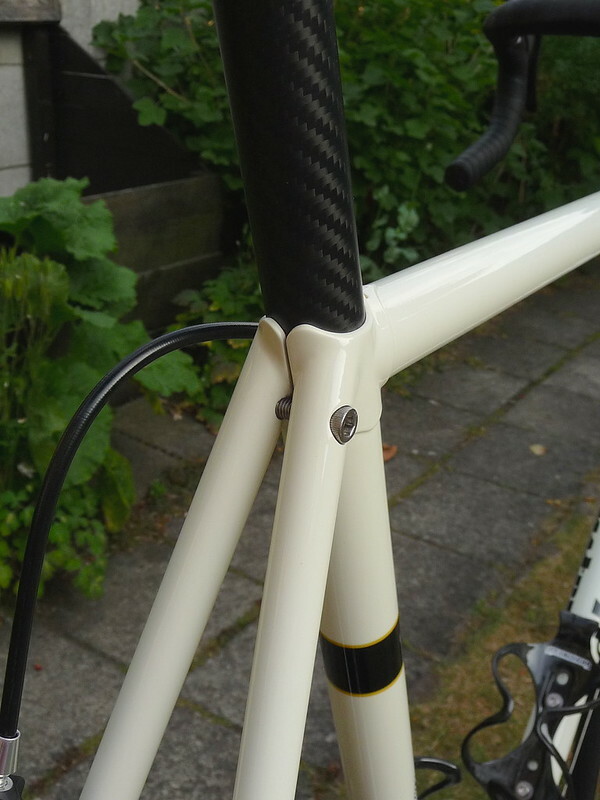 Take a look at the Feather Cycles Instagram - Ricky does these a fair bit and his pics often show the process. I love everything about that bike. Holy smokes, it's really nice! Just a quick note on the history of our use of that seat cluster: Tim Isaac used it on many of the frames he built back in the '70s; when Tim started match bicycles and ended up building Schwinn Paramounts in the late '90s we used the same cluster - so Martin and I thought it would be nice to carry the same technique on into this century. Certainly not claiming we invented it but the back story is fun. If I understand correctly, your using solid steel/4130/etc in the ends of the seat stays before this procedure? 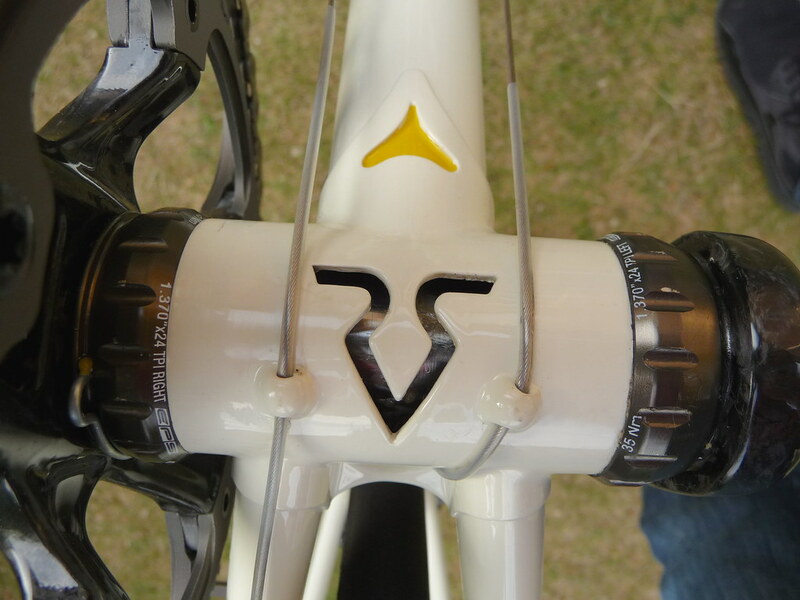 Took me a moment to understand how you would be able to tap into a seatstay and have body for the thread to grab.